Successful businessmen aren’t just born overnight. One of the golden rules of success “never settle,” makes Kunal Shah stand out from the league of Indian entrepreneurs. Having established a leading startup – Freecharge, the young entrepreneur shows no sign of settling, and is already hustling for his next venture’s fundraising. If this isn’t stirring enough, what is? India is undoubtedly sprouting in terms of startup space, but how authentic are our business ideas? 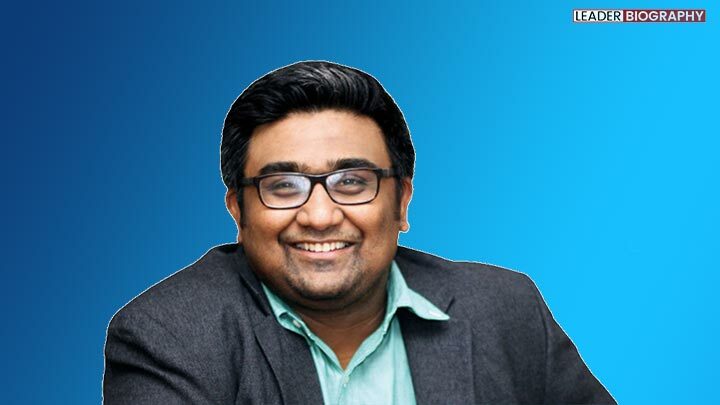 With Oyo replicating Airbnb or amazon inspired Snapdeal, Kunal Shah’s Freecharge is unique, and of 100% Indian origin, just like its owner. Even if you’re a rookie to the business world or an experienced entrepreneur, you know how hard it is to break the traditions, and pave your own path. But Kunal went against his family trend of joining pharmaceutical sector, to start something of his own. After completing his graduation, he joined TIS International Inc., a start-up BPO, as a junior programmer. That gave him a kick-start as it was when Sandeep Tandon, a major stakeholder in the firm, noticed the potential shah projected. His work spoke volumes for him, so much so, that he got promoted as the Business Head. Kunal also did his best and made the business grow to 1200 solid outsourcing team in his 10 year stint at the firm (2000-2010). When Kunal realized that he wanted to start his entrepreneurial career, his former employer Sandeep helped fund his aspirations, and they together gave birth to Freecharge. Working on how twisted the term “free” is in the India, Kunal knew it was used as merely a tactic to manipulate masses, and market products to them. His first attempt at venturing out was with PaisaBack. Going by the name, it was a retail cash back rebate. But he still wasn’t satisfied is his efforts illustrating what “free” actually meant. He wanted a site going full throttle to solve the pain point of the masses. So while working on PaisaBack, he stumbled upon the idea of Freecharge. It is an Indian digital payments platform which allows users to recharge mobiles, pay bills, etc, and receive Cashback offers from retailers through both online, and offline mediums. Developing the company was not instant rather sporadic, and largely based on customer feedbacks. Freecharge became one of the most promising startups in Indian history. It now faces a strong competition from Alibaba-backed Paytm. A major hurdle that came in Shah’s way was how do you expect something “free” to sell in the business market? Convincing the concept to the clients was very hard. This idea was entirely new, and firms were skeptical as to what benefits it would reap. However, Kunal Shah’s Freecharge left no stone unturned to persuade the masses. It used every technology medium to its advantage for spreading the word. , as much as now it does not really need any introduction. The firm has hit major milestones of making a sum of$ 6-million per day and roughly $ 2.19-billion a year. Over two million active customers have contributed to over 50,000 transactions on the site, per day. Freecharge acquisition by Snapdeal for $450 million (over Rs 2,800 Cr), made it India’s biggest startup acquisition deal so far. Shah stepped down from the position of the CEO of the firm in 2015, to explore the industry, and grow into other segments. He has taken up several positions such as joining the board of Sequoia Capital India as an adviser, and being appointed as the chairman of Internet, and Mobile Association of India in 2016. Large global investors are waiting in the line to fund Kunal, even without him officially launching a product yet. News are mounting about Shah regaining his CEO chair at Freecharge. The coming back would seem nothing less than re-unification of owner to his real home!